Show your love for someone special. 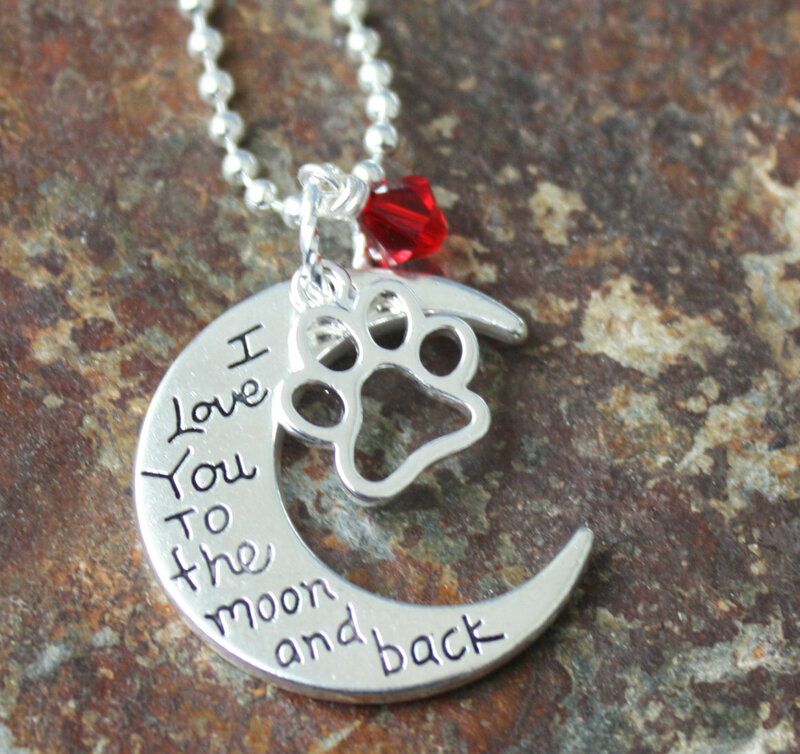 This simple necklace with the moon and a beautiful crystal bead says it all. 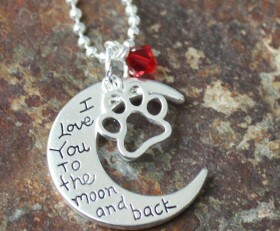 Categories: A Little Bit of Everything, Dog Lovers Jewelry, Dog Necklaces, Family, Necklaces, New. NOTE: If you choose a custom-stamped heart with an initial, please put the initial in the order notes below shipping address.